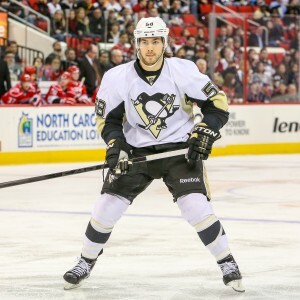 What Does a Penguins Championship Roster Look Like? The Sidney Crosby era in Pittsburgh has seen many different Penguins roster configurations. Some amazing, and some not so much. In 2005 the team featured the rookie phenom with the likes of Mario Lemieux, Mark Recchi, and Zigmund Palffy. Before the season ended, Lemieux, and Palffy were retired from the NHL, and Recchi was traded. In 2006 the team “core” started to take shape with Crosby, Evgeni Malkin, Kris Letang, Jordan Staal, and Marc-Andre Fleury getting the keys to the franchise. A nice cast of experienced players formed out the roster with John LeClair, Gary Roberts, Sergei Gonchar, and Mark Recchi (again). In 2009, after reaching the Stanley Cup finals in back-to-back years and winning it once, Pittsburgh legends were made in the form of Max Talbot, Chris Kunitz, Pascal Dupuis, Bill Guerin, and ***cough*** Rob Scuderi. They also got to watch former Penguin Marian Hossa sit on the ice in disgust. Yeah, that was fun wasn’t it? In 2013, then General Manager Ray Shero went “all in” with Jarome Iginla, Brenden Morrow, and Douglas Murray, to go with the already talented roster featuring James Neal, Paul Martin, and Matt Niskanen. Despite the talent and expectations, the results were disappointing. Skipping to 2015-16, the preceding offseason brought some serious skepticism. Nearly half of the roster had turned over, and some big names were gone. Enter Phil Kessel, Nick Bonino, Matt Cullen, Eric Fehr, and Sergei Plotnikov. Expectations go through the roof. Then the Penguins had a terrible start to the season, while Sidney Crosby was all but invisible. Expectations drop through the floor. Finally, coach Mike Johnston is fired and replaced with Mike Sullivan. Sullivan has an 0 and 4 start. The new coach adjustment period appears to be over, and the Penguins have been on a successful run. The team is racking up wins. Crosby is looking like the Crosby of old. Marc-Andre Fleury has continued his dominant play. The power play is clicking. But most importantly, the team looks like a well coached group with a system that is setting them up for success. Something that they didn’t have with Johnston. With the trade deadline fast approaching we have to ask ourselves if this is a Stanley Cup contending roster? The quality up front is not in question with Crosby, Malkin, Kessel, and company, but the depth has taken a hit this year for several reasons. Pascal Dupuis retired due to complications with blood clots. Beau Bennett continues to reside in the infirmary. Then there was the whole Daniel Sprong debacle. Combine that with Bonino’s play and injury, and the depth has just gone out of the window. The addition of Carl Hagelin has been a nice boost, but some depth will need to be brought in to compensate for the losses, and fill holes made by injury. A top-9 forward or two that wouldn’t look out of place with Crosby is a must. Solid players are needed, but a blockbuster deal is not necessary. Carolina can keep Eric Staal. Injuries and depth are a concern here, but there are quite a few positives. Trevor Daley has fit in nicely, and Derrick Pouliot finally seems ready. Letang, and Olli Maatta are healthy, and Brian Dumoulin does not appear to be seriously hurt. But, this is an injury prone group that already relies too heavily on the likes of Ben Lovejoy and Ian Cole. A solid depth acquisition is an absolute must, but a top-4 defender is preferred. Defense wins championships, and the Penguins need to build on the group that they have to last in the grueling playoffs. There really isn’t much to talk about there. Fleury is a star, no question about it. Pittsburgh has a nice 1-A playing in Wilkes-Barre in the form of Matt Murray. With Mike Johnston, there was no way that they stood a chance at a Cup, regardless of who filled the roster. Mike Sullivan makes all the difference. Because of him this team can win without making any moves. Crosby and Malkin have shown that they can carry this team, but with a better system and supporting cast, that shouldn’t be necessary. Maybe Beau Bennett can stay healthy. Maybe Nick Bonino will come back healthy and start producing. In 2009, Pittsburgh had some solid players like Miroslav Satan, and Petr Sykora who primarily sat in the press box during the fabled championship run. This goes to show that you can never have too many good players. Take away the Simon Despres trade, and Jim Rutherford’s trade history in Pittsburgh has been largely positive. The Penguins are still in “all or nothing” mode, and Rutherford is not likely to disappoint.